Shape 5 Jomsocial 30% Off Coupon! The coupon is available in the downloads area under the elegance download category once you are logged in as a club member. For many of us Joomla has provided an additional source of income or even a full blown business. Joomla has enabled designers, developers and business owners to all connect and create some amazing components, templates, etc. We are happy to notice the support Joomla link on joomla.org and we hope that if any of you have received financial benefit from the project that you give a little back. The entire Joomla team is comprised of individuals giving of their personal time to keep the project going. Imagine how much more can be done with Joomla if it actually was fully funded and supported! Introducing Shape 5 Hire a Coder! Post and accept bids for FREE! Need a programmer for your web project? With no hidden costs or fees, the Shape 5 Hire a Coder program is a free service offered to both paid and free members of our site. Anyone may post their project for free but only members with an active developer membership may bid on projects; this ensures that you are receiving bids from our top notch members! Developer Members - Here is your chance to bring in new clients. Bidding on projects is totally free to any member with an active developer membership. Be sure to check our site often for new projects. 1. It's free! Posting projects is completely free. There are no hidden costs or fees to post your projects. 2. Receive competitive bids on your projects and choose the one that is right for you. 3. Review a coder or post a review on a coder's work. Throughout the years that Shape 5 has been creating templates for the Joomla CMS we have come across many sites that we've bookmarked and frequently reference for resources to build our templates with. We hope the following post will expand your current tool set of sites and boost the quality of the sites you output. With the release of Jomsocial v1.6.290 there have been several updates to the templating structure from when we originally created our Jomsocial Elegance template. We have just updated our Jomsocial template to be fully compatible with the newest version 1.6.290. The template was completely rewritten from scratch based off of the new version. This update should resolve any problems that were arising with formatting and functionality issues. Recently it has come to our attention that a press release constructed and submitted by a third party SEO company that we have hired was released with false information and to this we owe the Joomla! project and anyone associated with Joomla! an appology! This release stated Shape 5 was affiliated with the Joomla! project and the project was responsible for the creation of our website. This is false, our website was completely constructed by Shape 5. 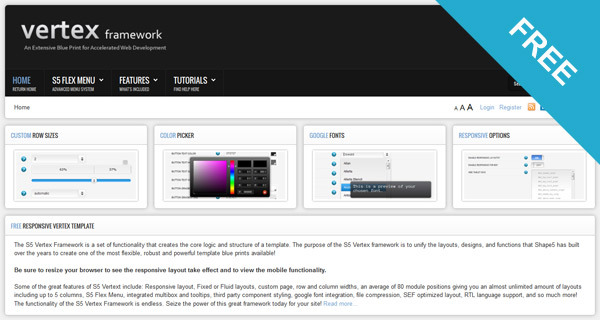 Shape 5 is an independent company which produces extensions and templates for the Joomla! CMS. Like other companies, it produces software that enhances websites, building on the work of the Joomla! project as its contributors but completely independent of it. Shape 5 is fully committed to the Joomla! project and we are indebted to Joomla! and it's community for creating this great CMS. Again, Shape 5 apologizes for this and we have taken measures to make sure this never happens again. Several months ago PHP 5.3.0 was released. Most servers are still running PHP 5.2.x or less but some cases of 5.3.0 have started appearing in our forum boards, and like most new versions of software compability issues have come up. We are happy to announce that all Shape 5 Joomla 1.5 products, templates and extensions, are now updated to work with PHP 5.3.0. If you are not running 5.3.0 on your server, don't worry, there's no need to update. If you are not sure if you are running 5.3.0 most likely you are not. If your template or extension is an older verion and is effect by 5.3.0 you will see messages about a deprecated function ereg() on your site. Note - these messsages will not appear in our updated files. If you run into these errors please post a forum support thread under the forum board pertaining to the product you are using. We are here to help you and make sure your Joomla projects go smoothly and without problems. If you run into issues with our Joomla Templates or Joomla Extensions, or you simply have questions please consider the following when posting a new forum support thread to ensure your questions are answered accurately and in the quickest amount of time possible. We hope this helps you out and makes your support experience run smoother! * The url that is in question. * Screenshots often help, but please also provide a url whenever possible. * Ask thorough questions with as much detail as you can. * Brief description and list of any 3rd party extensions you may have installed. * Since the problem occurred, what have you changed? Was anything changed on your site that caused the problem? * Have you made any modifications to your site? * Have your searched for posts similar to your question by using the search functionality on the forum? Often times a question has been previously answered. * Take time to review each forum section and make sure to post in the correct board. * Help someone else if you can answer their post. * Be courteous; use clean language and make sure to to thank those who help you. First Shape 5 Blog Post! Welcome to the new Shape5 blog! We hope to not only bring you Shape 5 news on projects but also to let you know what we use to develop and what web tools we find that may help you along the way. Please check back here periodically and we hope this new resource becomes a great benefit to you.